Every product that is made in Greece has the code 520. The number 520 is the symbol of Greece as it produces goods. Once more Greece is faced with a massive exodus -immigration (and this time it focuses on experienced skilled workforce), enlarging and empowering the Greek Diaspora. With this in mined “Lyhnia SA”, which this year celebrates 40 years of continuous creative presence in the printing an visual communication, decided to support the creation of a site for global Hellenism through which it will store almost everything that is Greek, worldwide. From the local Greek community, Greek newspapers, Greek products, and books about Greece and its regional areas . Our goal is to make this platform a communication medium of the Greek Diaspora and a tool for the Hellenic development. 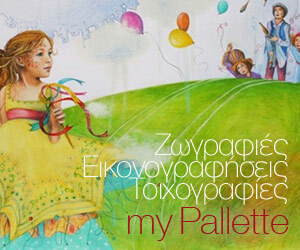 The «520greeks.com» is a small tribute to our Greece, the cradle of civilization and arts. Our own goal for the next year is the continuous technical improvement of the portal . We hope your goal to be the continuous enrichment of data. For all of you who are interested in your place, your neighborhood, your municipality, your origin, your Greece that unites us. The 520greeks.com is the portal of Greek communities . An innovative communication portal recording all aspects of the Greek Communities and the Greek Diaspora.